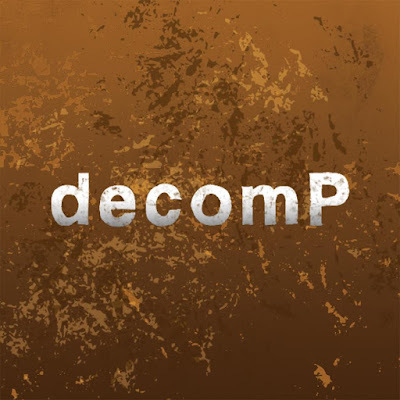 James Burr: New story published by "decomP magazinE"
New story published by "decomP magazinE"
I have a new story published by decomP magazinE today. And this one really is a new one in that it was written this year. That said, I had the original idea decades ago - well over twenty years - after having read Bradbury's "The Crowd." From what I remember, for those who haven't read it (and you should - all Bradbury is worth reading), "The Crowd" is basically a story based on the premise that every crowd you see - gathered outside opening sales, gawping at roadworks, jostling around accidents - is actually the same crowd, an amorphous blob of people that appears and disappears depending on there being a need for a crowd. (Or at least that's how I remember it. As I say, it's probably been 25 years since I read it). Anyway, when I read that story I couldn't help but think of, "What would the story be like from their point of view?" Hence an idea that for many years lay in my ideas file as "A Day in the Life of the Man in the Street" until such point as I realised that flash fiction was the perfect form for many of my ideas that couldn't really support a longer story. The actor angle came from reading a flash piece a few months ago that all the writers and editors that I follow on Twitter were lauding. It was rather good and was a first person actor tale thus inspiring the actor angle, which I thought worked rather well as a narrative framing device.